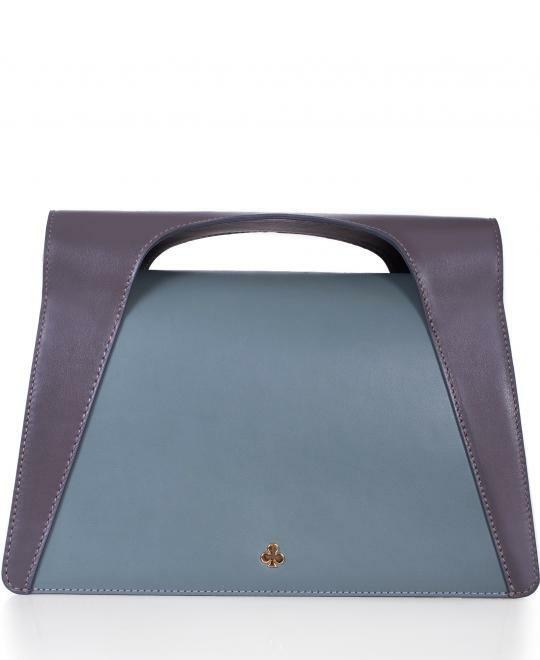 Modern handbag made from Nappa leather in green and grey shades. 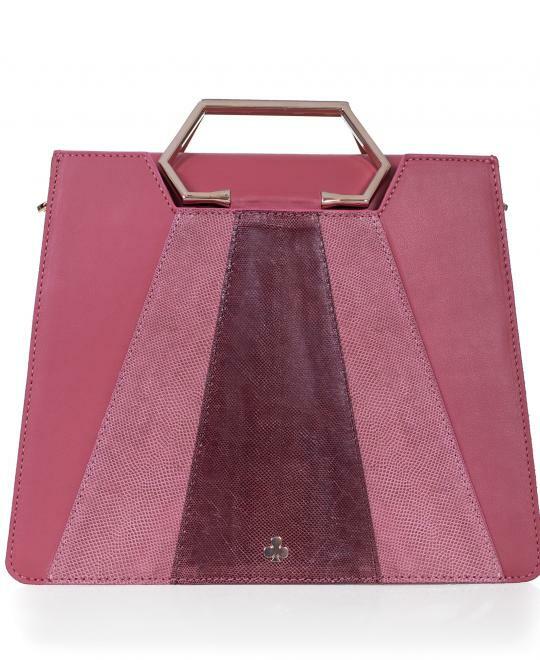 Ornella bag represents femininity and good taste, being a luxury accessory, desired by any fashion loving. 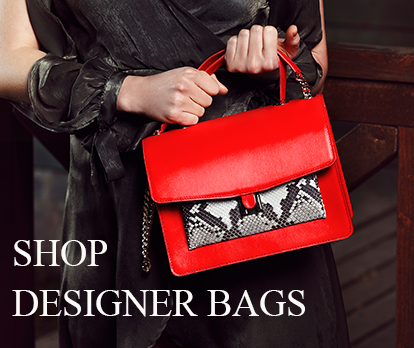 It is a suitable accessory for both day and evening, combining feminine elegance with a modern allure. 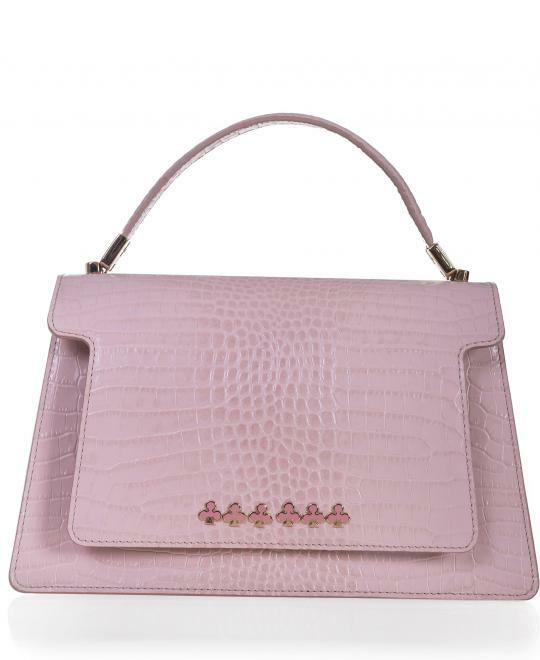 With an original and feminine design, the Ornella Nuvo bag is an accessory that combines the elegance of the natural leather with the refinement given by the pink python insertion. 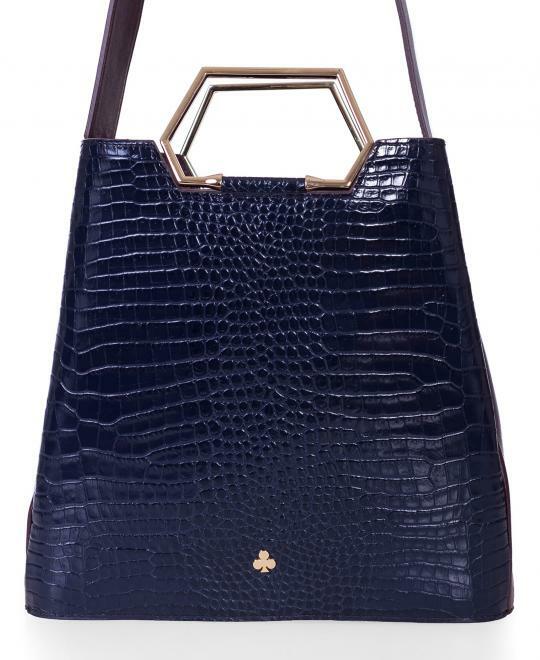 Rita Navy bag with phyton cap is practical and easy to adapt to your day and evening looks. 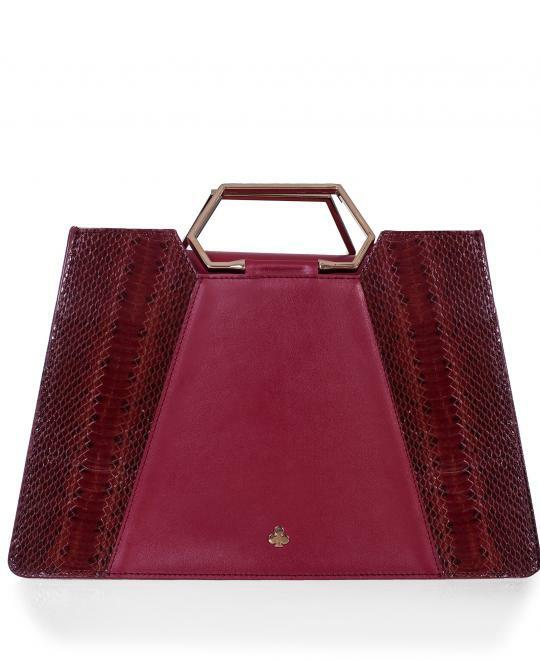 The Paola leather bag is an essential accessory for any daily outfit. Roomy, feminine and modern, this day bag has an interior composed from three compartments, one of them is equipped with a zipper in the middle. 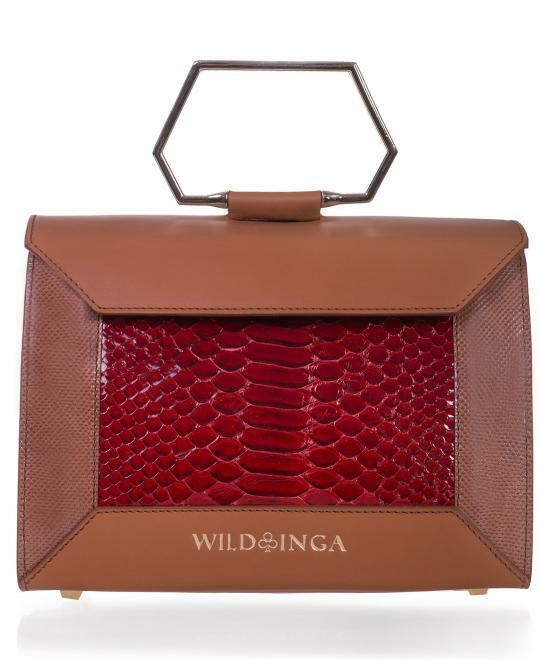 The Red Edith bag, signed by Wild Inga, represents femininity and good taste, being a luxury accessory, desired by any fashion lovers. 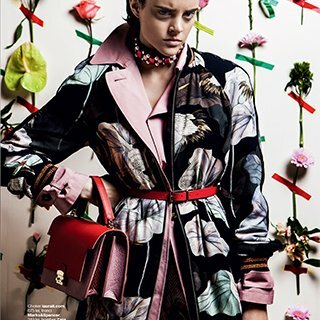 It is a suitable accessory for both day and evening, combining feminine elegance with a modern allure. With an original and feminine design, the Ornella bag is an accessory that combines the elegance of the natural leather with the refinement given by the brown python insertion. 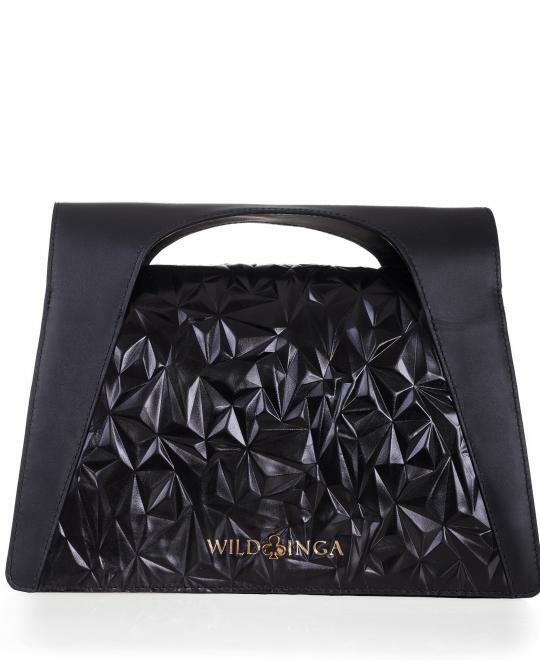 Modern handbag made from black geomtric embossed 3D leather. 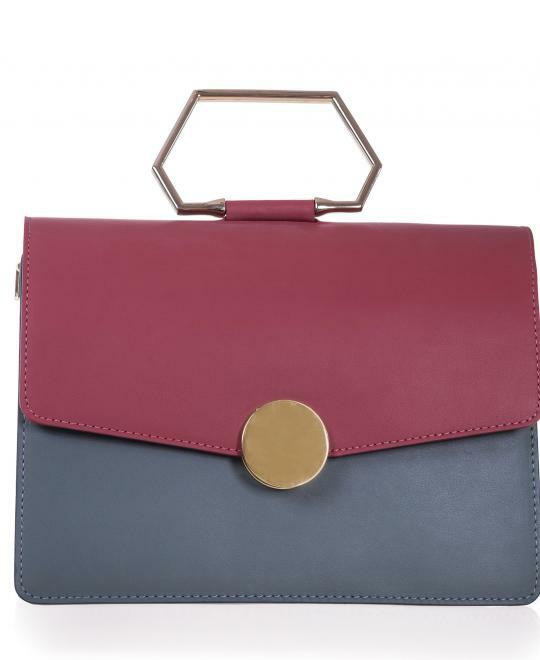 With an original and feminine design, the Marlene bag is an accessory that combines the elegance of the natural leather with the refinement given by light golden accessories. 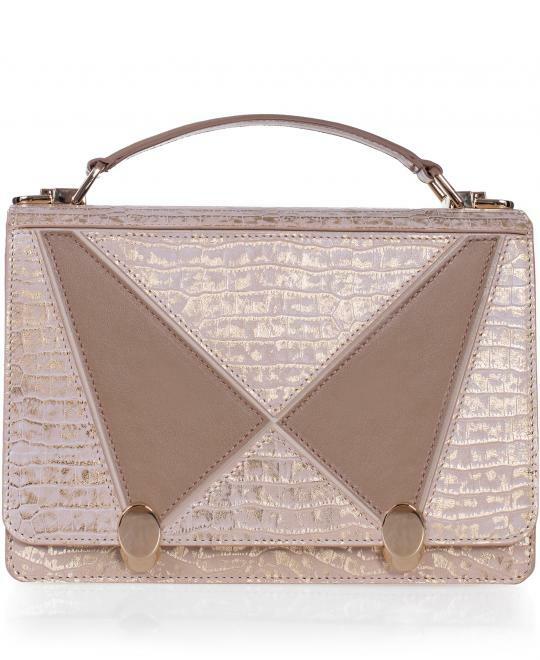 Elegant office bag made from natural leather with croc effect and logo metallic details. 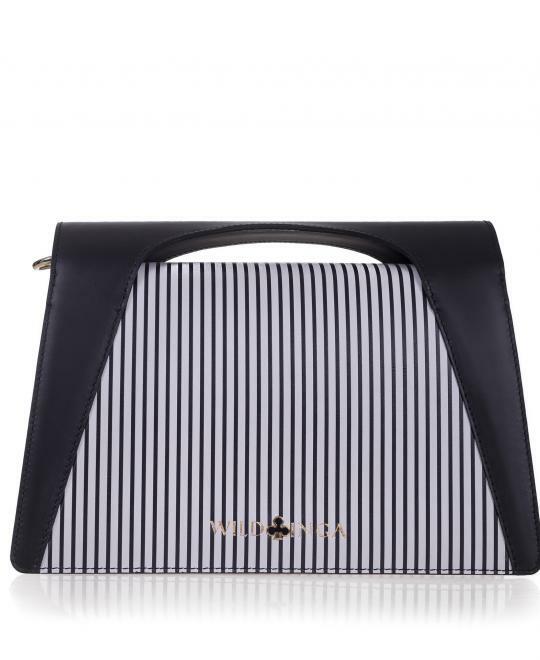 Office black and white women's bag with linear frontal details and geometric design, extremely versatile, made from natural leather.